Today is definitely a #CoverReveal day. Many of our anticipated books have just surfaced online with new faces, and not just the blank template we always see months before the books' actual release. This time around we have a new one from Jim Butcher, and no it's not for Peace Talks, the 16th novel on his The Dresden Files series. In fact, it is much better. It is from his newest series, The Cinder Spires. The Aeronaut's Windlass, the first book in the series, has a tantalising and adventure-filled new cover reminiscent of the covers of The Dresden Files books, but it is much brighter and more fantastic. Here is the fantastic new cover of The Cinder Spires: The Aeronaut's Windlass by Jim Butcher. 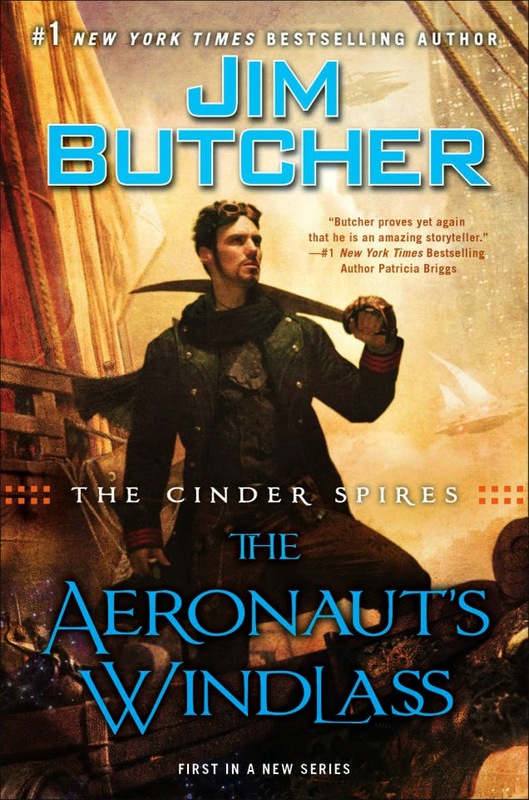 The Cinder Spires: The Aeronaut's Windlass by Jim Butcher will hit book stores on September 29, 2015.